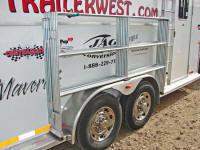 Trailer hitches that work harder, do you know your tongue weight? 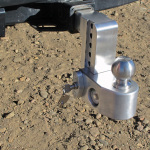 Look at that hitch, it’s the best looking part of my truck and brings my trailer up a few notches. 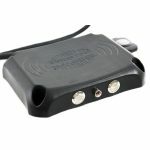 I love technology with a purpose. 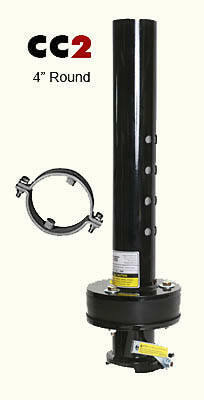 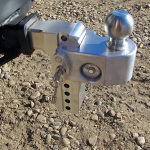 New technology in truck receiver hitches have come a long way from adjustable height aluminum stingers. 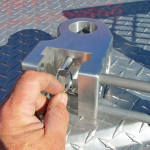 I’ve found a remarkable hitch at SEMA, winning awards and drawing crowds in Vegas at the largest aftermarket trade show. 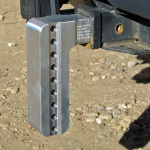 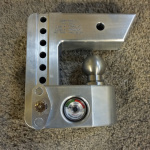 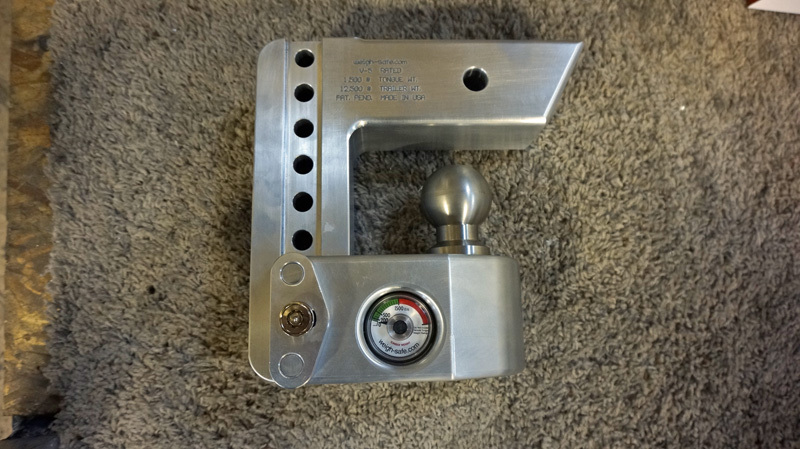 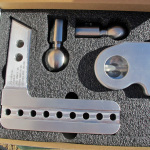 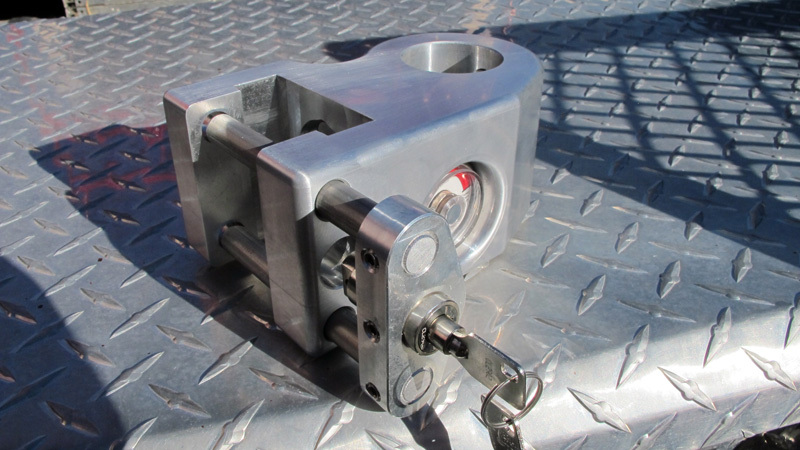 This Weigh-Safe beautiful billet aluminum adjustable, locking receiver hitch has a built in trailer tongue scale. 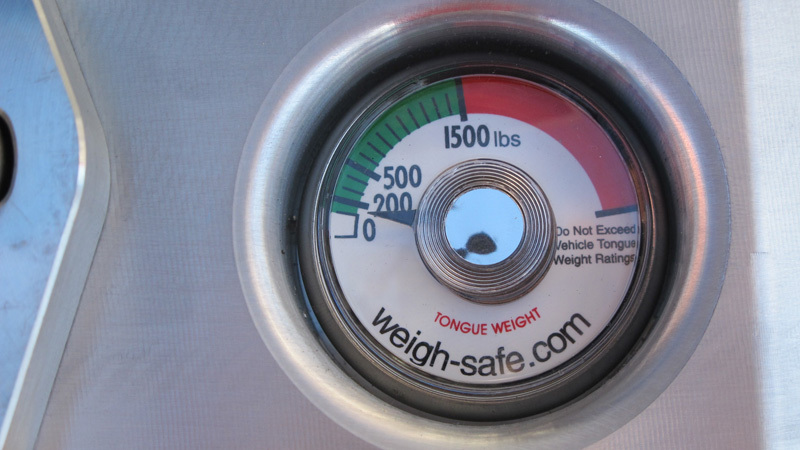 Do you know your trailers tongue weight? 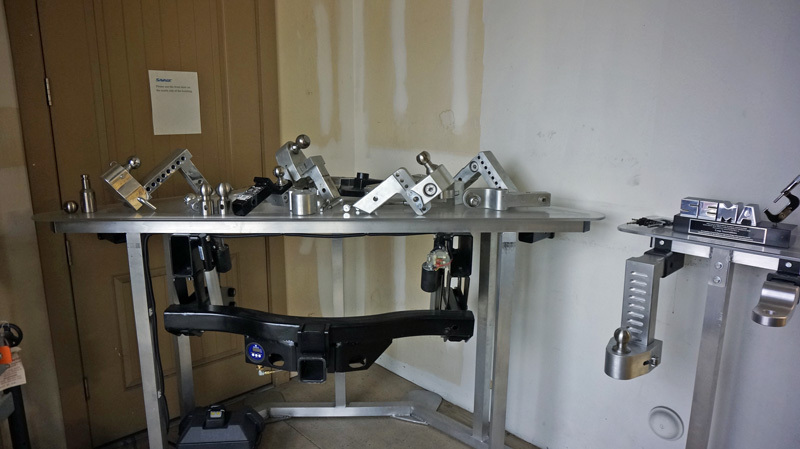 That might be a question a lawyer will ask you if you are involved in an accident. Commercial operators using pickup trucks towing trailers aren’t the only ones that get sued in trailer accidents. 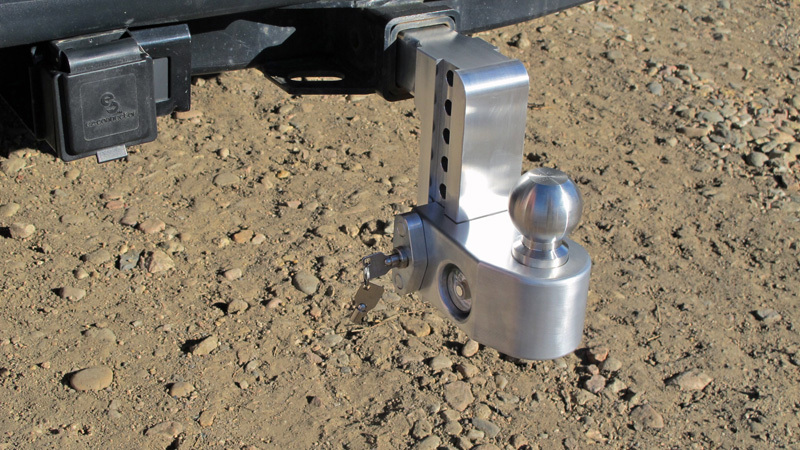 Besides liability issues, an unsafe trailer can also limit your vehicles warranty if you are out of tongue weights limits specified in the owners manual. 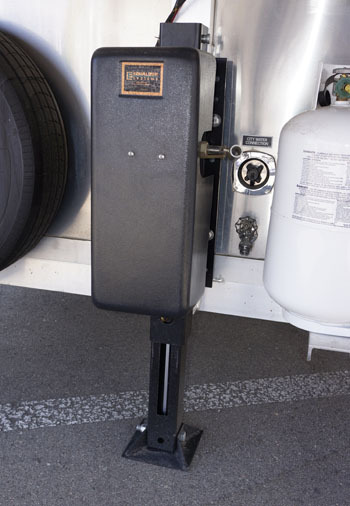 Weigh-Safe is a great tool to help you properly load your trailer to keep you and your family safe on the road. 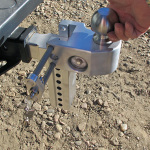 Weigh-Safe receiver hitch can also be reversed to store the ball inward towards your truck out of the way, picture above left. 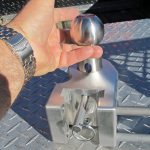 As an automotive journalist, I test trucks with trailers. 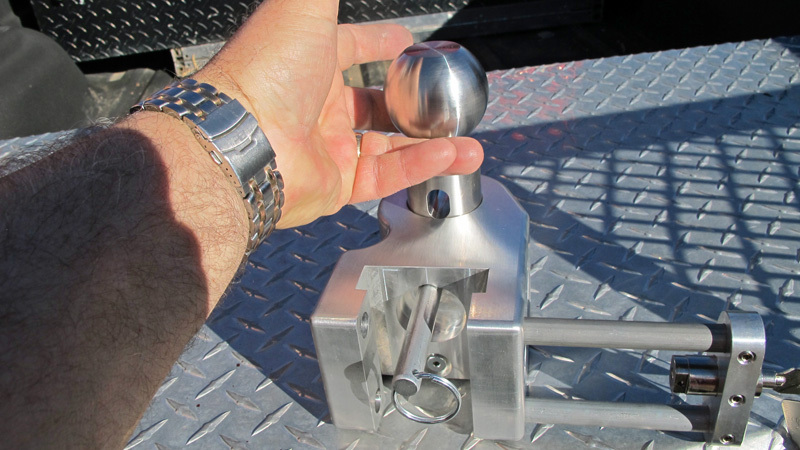 So tongue weight is important to properly evaluate trucks towing ability. 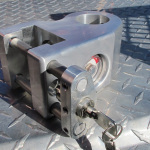 With Weigh-Safe I know what weight I’m putting on the trucks rear axle. 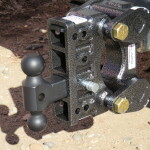 I can move trailer cargo to get my 10-15% tongue weight on bumper pull trailers. 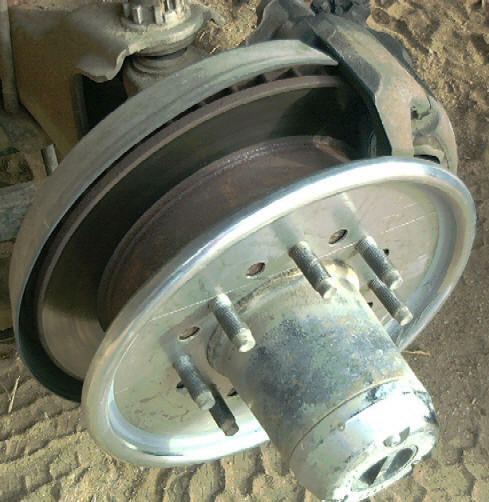 Whether I’m moving cinder blocks, horses, tractors or ATV’s, I can now adjust my load for the best use of brakes, bearings and suspensions. 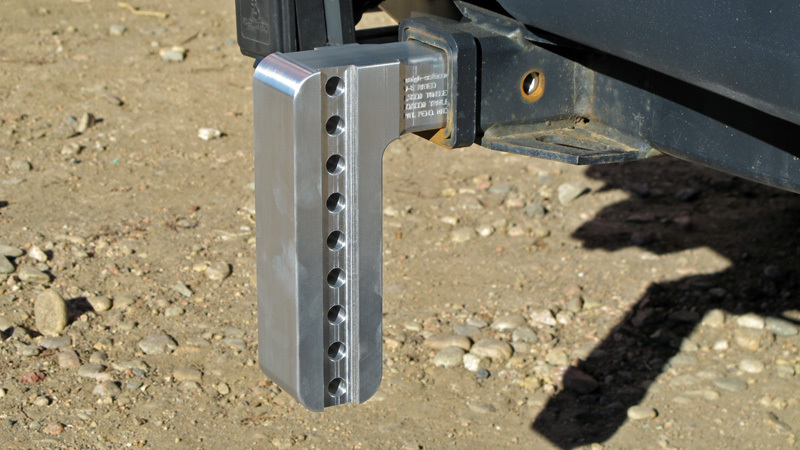 This makes safer trailering. 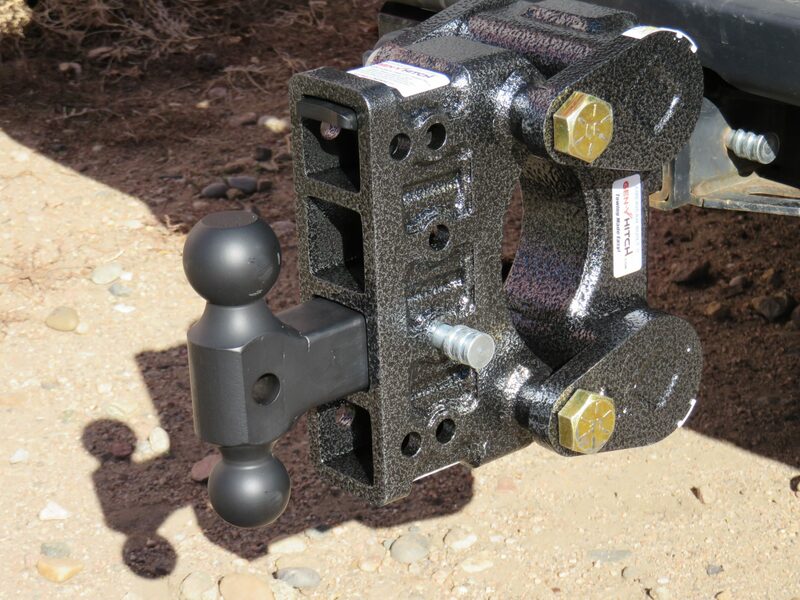 When loading heavy equipment or trucks on flatbed trailers, you can zero in on were to chain down the load for optimum tongue weight, you may only need to move the load inches. 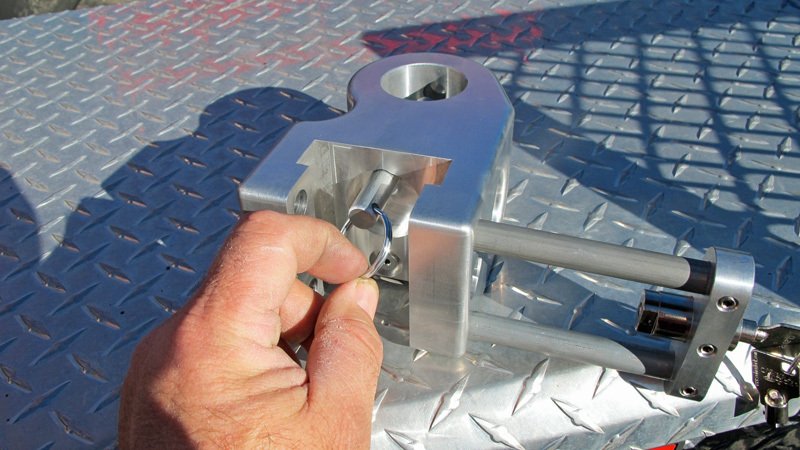 With horse trailers, you know which stall to put the big horses, you can move saddles and tack to dressing room or rear tack room. 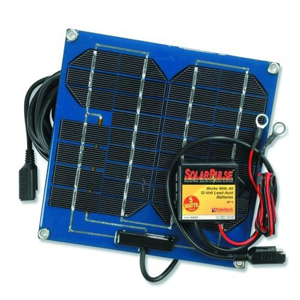 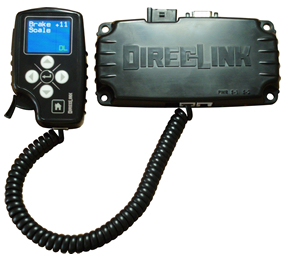 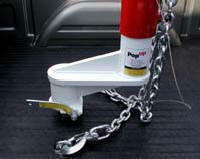 On RV travel trailers, I know where in the trailer to store my boxes of fishing supplies. 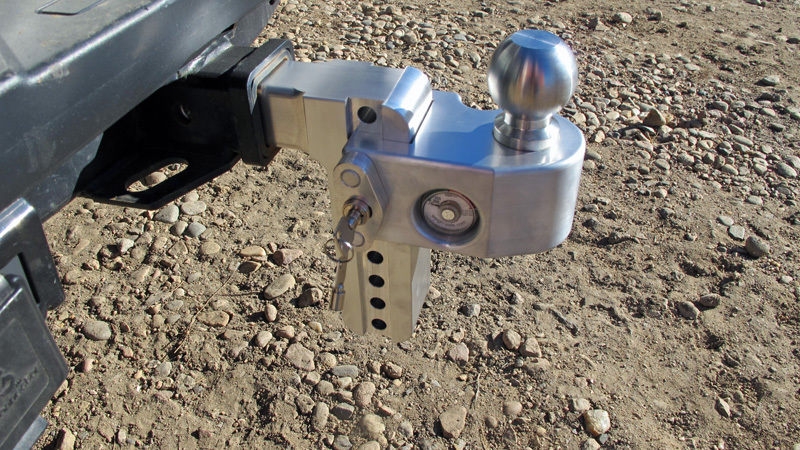 Now you know your trailer is balanced, maximizing axle bearing capacity and axle brakes. 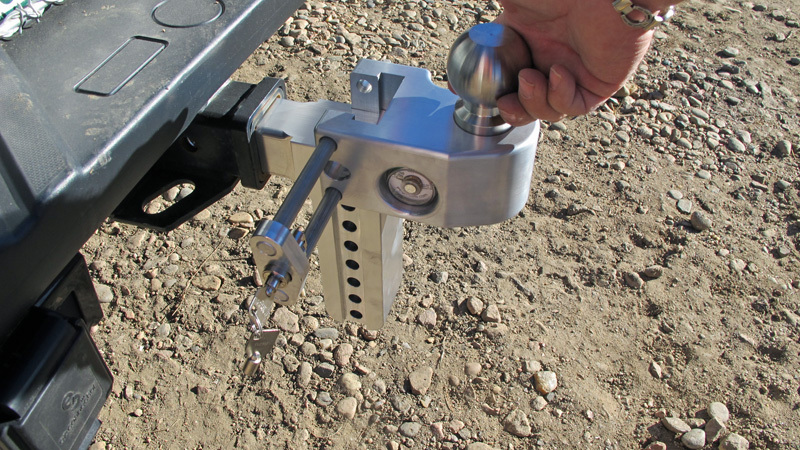 Weigh-Safe hitch is height adjustable with a locking pin, this is important to level the trailer for better braking. 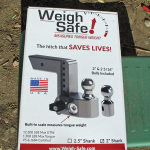 Weigh-Safe makes their own solid stainless steel ball that won’t wear off like chrome or zinc coated balls. 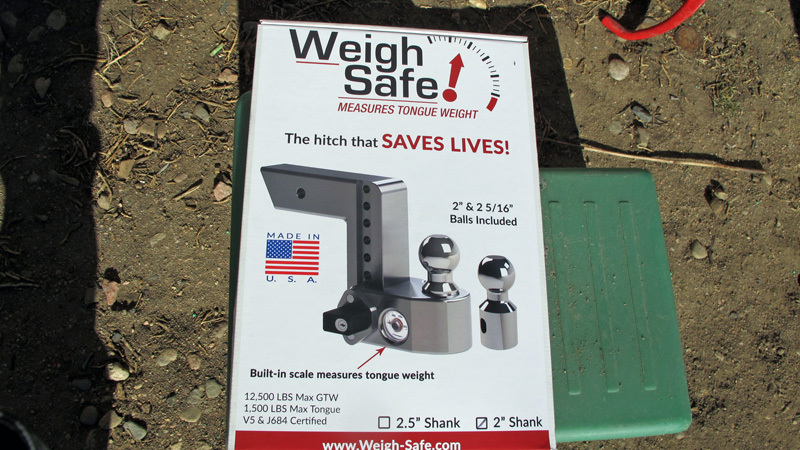 Weigh-Safe hitch has a one year warranty, made in Utah USA. 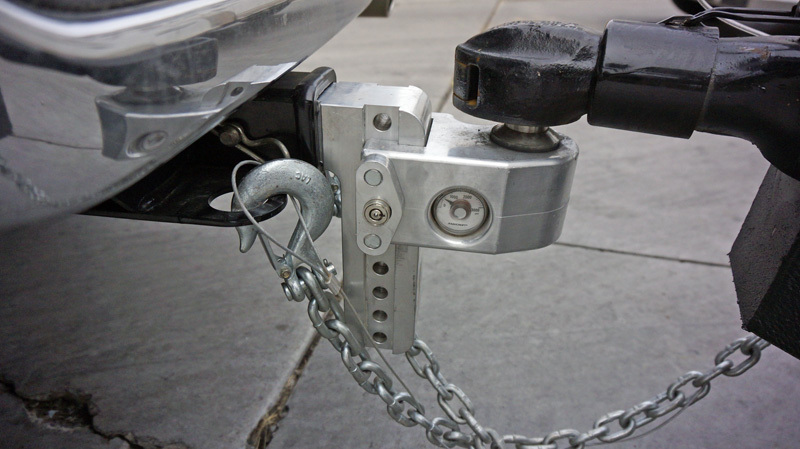 It’s all about safety and load management to prevent trailer sway or fishtailing. 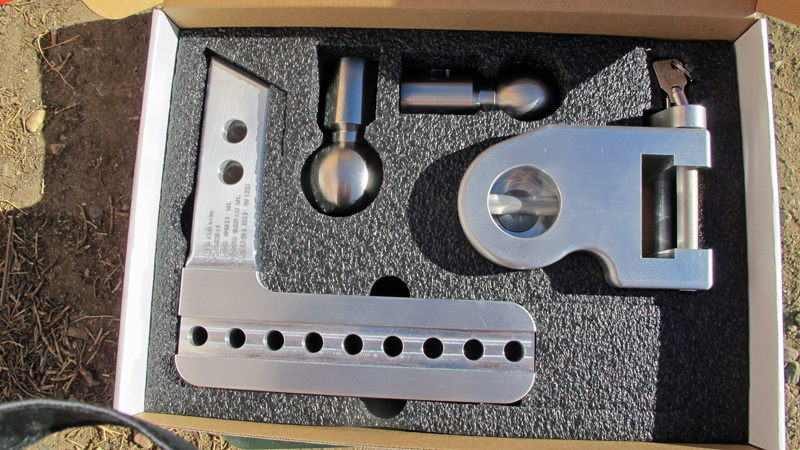 Lathe that makes the solid stainless steel balls, left picture. 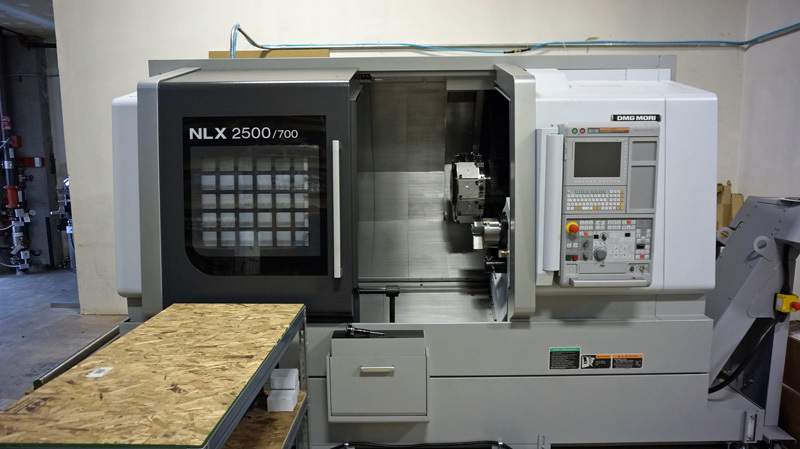 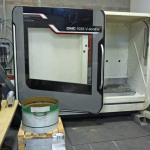 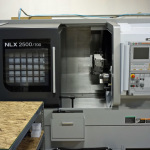 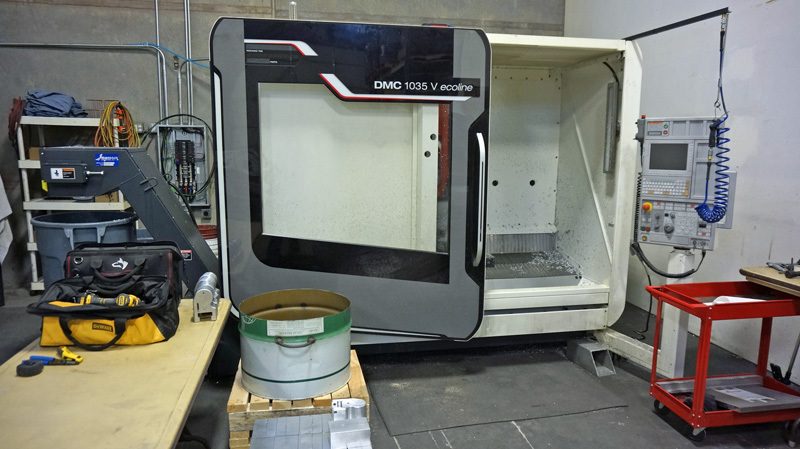 CNC Milling Machine using military grade 6061T6 aluminum billet blocks (eg. 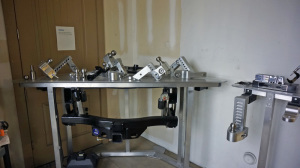 2015 Ford F150 body, Cimarron horse trailers,) picture right.